You can purchase Revanesse Ultra and order online, by fax, or via phone from us. Enjoy the convenience of purchasing this and other aesthetic products quickly while benefiting from low wholesale prices. Save even more with our free shipping options and ongoing sales promotions exclusive to existing customers. Revanesse Ultra is a cosmetic filler made with hyaluronic acid. Doctors inject this filler into the face to smooth the look of deep wrinkles or to add facial volume, helping to restore youthful shape and texture to the skin. Because of its high viscosity, this injectable can restore volume with long-lasting results. How does Revanesse Ultra work? This injectable gel is made of high-viscosity, cross-linked hyaluronic acid. The thick formula remains stable and offers more long-lasting results. Once you inject the hyaluronic acid into your patient's skin, the particles hold onto moisture, restoring volume that has been lost as skin ages. This volume helps support the skin, reducing the look of deep wrinkles and sculpting facial features. In addition to its ability to retain moisture and create volume, hyaluronic acid can also help stimulate collagen, a key player in maintaining skin’s strength. What are the ingredients in Revanesse Ultra? 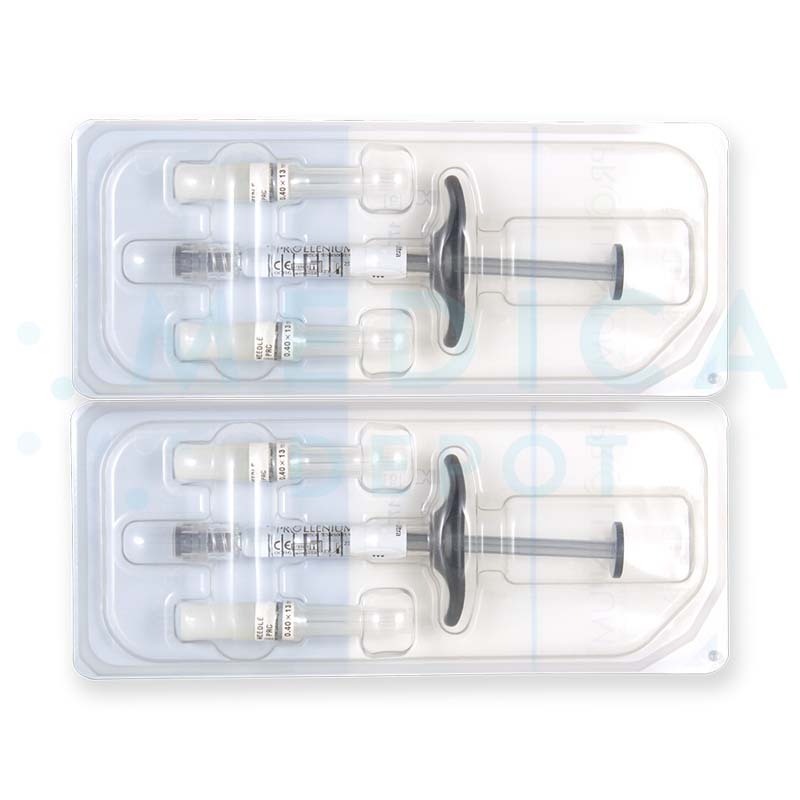 This cosmetic filler contains cross-linked hyaluronic acid. 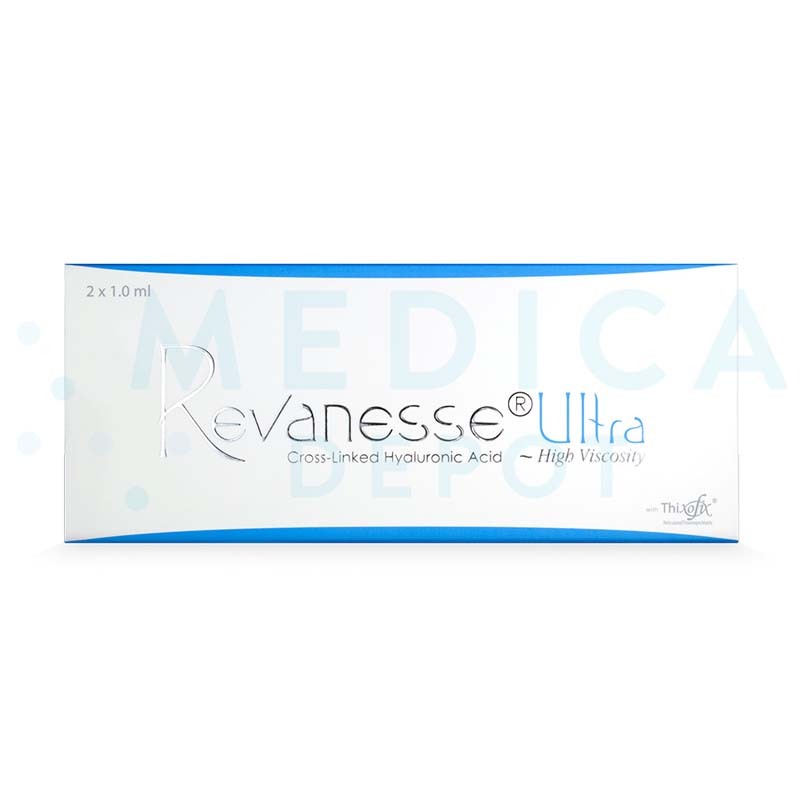 What is the difference between Revanesse Ultra and other Revanesse products? This dermal filler has a thicker formula than Revanesse, Revanesse Lips, and Revanesse Pure. This means it is more suitable for filling deeper wrinkles and adding greater volume than the other fillers. Inject this hyaluronic acid gel into the mid to deep dermis using a 27G needle, following proper aseptic techniques. Do not overcorrect. This treatment should be used on individuals with prominent signs of ageing. It may be used to restore volume to sallow areas of the face, or to smooth out deep wrinkles. The results of 1 treatment session can last about 6 to 9 months, although this may depend on the patient's age and lifestyle, the degree of correction they need, and the correct placement by the injector. Repeat the treatments about once or twice a year to maintain results. You can use this cosmetic injectable on nasolabial folds, oral commissures, and other deep and pronounced facial lines and wrinkles. You can also use this filler to add volume to depressed areas of the face. Who is an ideal candidate for Revanesse Ultra? The ideal candidate for these treatments is a patient who is experiencing pronounced signs of aging, such as deep wrinkles or moderate volume loss. The treatments are also suitable for a patient over the age of 18 who wants to create volume in the face. These injections may restore or create volume for a more sculpted, youthful appearance. Why should I purchase Revanesse Ultra? Purchase this cosmetic filler to help your patients retain their youthful facial volume. 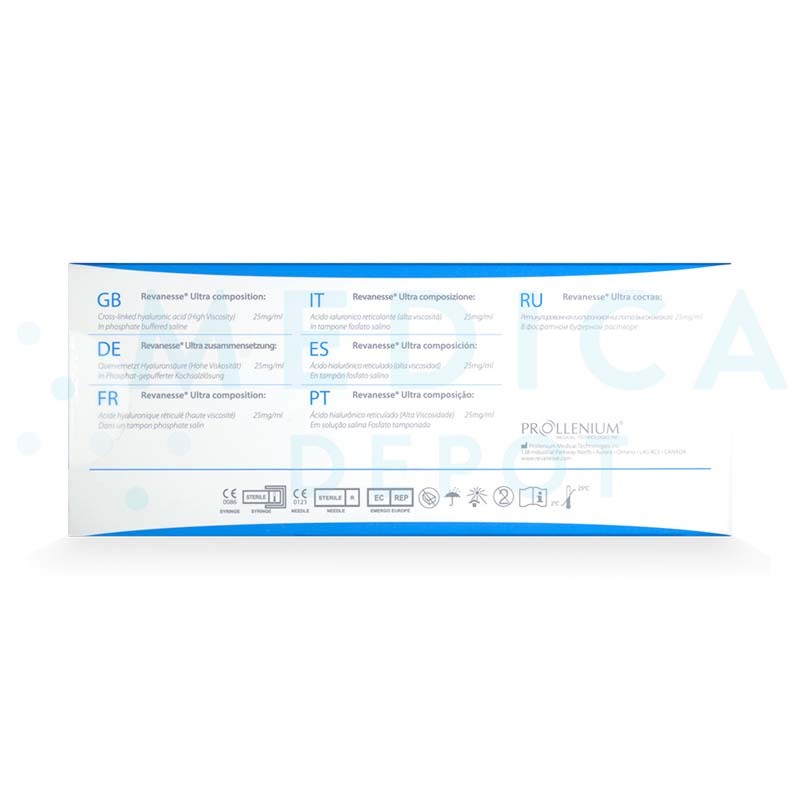 Revanesse is made by Prollenium, a trusted specialty manufacturer of aesthetic products, so you and your patients can count on this injectable to provide quality results. 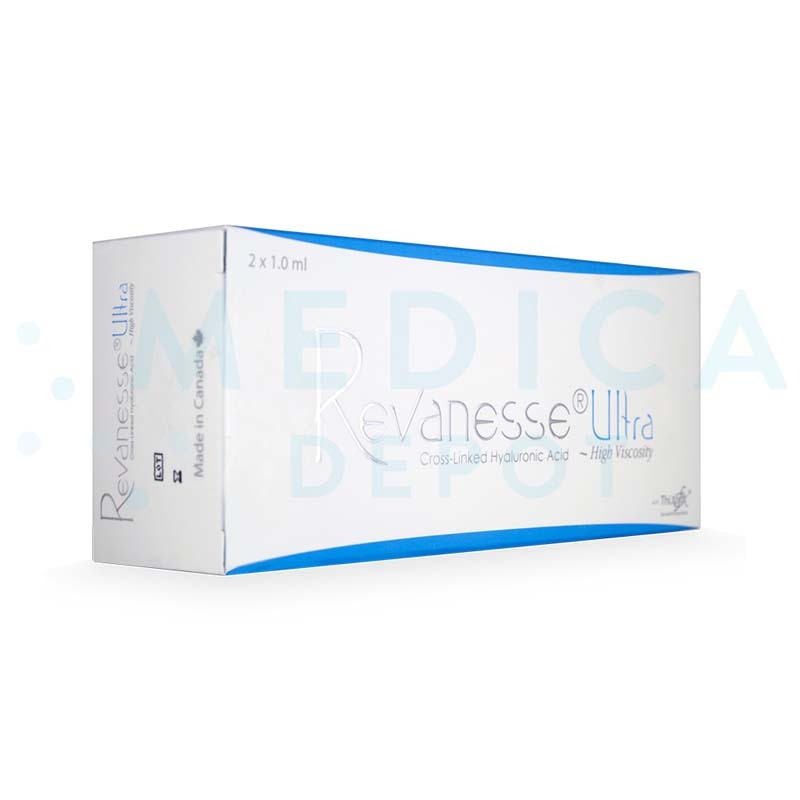 Most importantly, by purchasing Revanesse Ultra from Medica Depot, you save money with low wholesale prices. What are Revanesse Ultra's side effects? Side effects usually resolve spontaneously within a few days. Any adverse effects should be brought to the attention of the manufacturer.